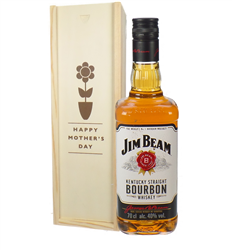 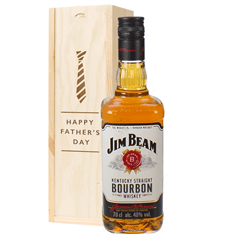 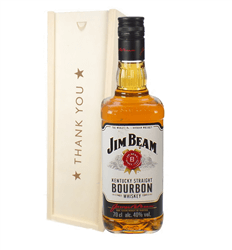 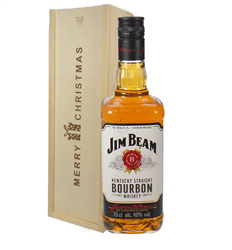 Jim Beam Kentucky Bourbon Whiskey has been produced by the beam family since 1975 and is the perfect gift for anyone who takes their Bourbon seriously. 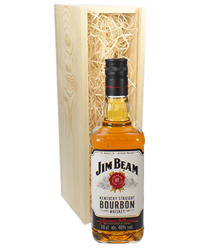 Our range of Jim Beam Whiskey gifts are packed in a range of beautiful presentation boxes with the choice of adding chocolates, gourmet food, even an adorable teddy bear. Simply order online or by phone and we will deliver your gift with your personal message on the date of your choice.